can seem to help you with your chronic issues? Are you tired of spending thousands of dollars on tests that give you no answers and years of your time trying different medications and natural remedies that get you no further ahead and leave you more confused than ever? it’s better to just “live with it”? During this powerful session with Eleanor, you will receive a specific reading and energy clearing to unravel the ROOT CAUSE of your CHRONIC ISSUE. You will not only receive her sharply accurate intuitive skills for clarity and strategic steps from Source on how to balance your body (even if you’ve tried everything), but your breakthroughs and transformations will continue long after the call! 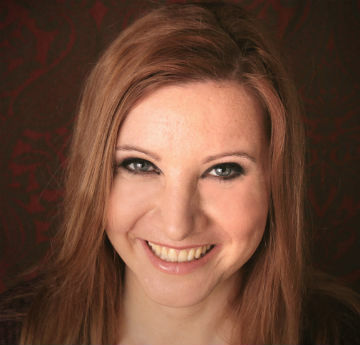 She is known for picking up on deeply buried emotional patterns that other Intuitives and Psychics have missed. You will leave this session feeling lighter, with more clarity and peace of mind. Results from her clients include, clearing up acne, acute pain going away instantly, digestive imbalances clearing up, getting their period after not having it for 10 months and feelings of peace and calm. This package is perfect if you are ready to receive specific and powerful healing and transformation work for your chronic issue (can include chronic anxiety). The deeply supportive and healing energy helps you release and clear the major blocks to healing. A set of energy healing recordings and intuitive guided messages designed to clear the 5 major barriers to resolving our chronic issues. These energy healings will unravel your specific ROOT CAUSE for each category. For example, the root cause emotional block that you have with guilt and shame, etc. These clearings and alignments are so powerful because they unravel the emotional energy blocks from the root and therefore, start to unravel the core connection to your chronic issue (regardless of how they manifest). Eliminate the guess work and trial and error processes to align you with the EXACT energetic flow that you need to balance your body, mind and soul. Recordings include healing energy, intuitive messages and exercises/direction to experience the greatest transformation and breakthrough for the highest good of all. Listen to this recording to unravel your specific energy blocks associated with guilt and shame. Once these root symptoms are cleared, you will experience an alignment with joy and confidence to shine your light! Listen to this recording to unravel your specific energy blocks associated with mistrust and fear of others. Once these root symptoms are cleared, you will experience an alignment with heart connections and divine intimacy with yourself and others. Listen to this recording to unravel your specific energy blocks associated with negativity and pessimism. Once these root symptoms are cleared, you will experience an alignment with reverence for all of life and feelings of light-heartedness. Listen to this recording to unravel your specific energy blocks associated with judging yourself and others harshly. Once these root symptoms are cleared, you will experience an alignment with compassion and acceptance for yourself and others. Listen to this recording to unravel your specific energy blocks associated with trying to be perfect and controlling the outcome of everything in your life. Once these root symptoms are cleared, you will experience an alignment with ease and flow and trusting life’s process. 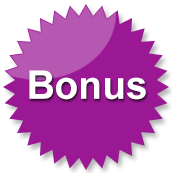 This bonus is encoded with powerful Source Healing Energy to clear, align and connect you to who you really are so you can do what you came here to do! totally resolved that as well. I am totally overjoyed, ecstatic and would totally recommend her. has reduced by at least 80%. She is simply superb...More Success and Growth for you Eleanor. realisations and breakthroughs energetically, emotionally and physically in the last few days. "Thank you for the very healing call with Eleanor Healy. I was not aware of the fact that many different symptoms in the body could be the result of one main root cause. Thank you for the energy healing. I was very affected by my false belief that "I am not allowed to be here"! All my life I felt like I was a burden, and now I can start unraveling this. Now I feel free to claim my birthright, and I know that I desire to practice forgiveness of self and others. I feel I have already received a wonderful gift. As a Medical Intuitive Healer, Eleanor Healy helps you find the not so obvious root causes of your chronic physical conditions, so you can finally have the freedom and peace of mind you long for. She is not only a powerful healer, counselor and sharply accurate intuitive with over 12 years of experience, she also overcame her own challenges. She suffered from chronic acne, the painful condition of IBS and serious anxiety for over 25 years. She tried everything under the sun to heal her conditions, from pharmaceutical methods to alternative healing and natural remedies: nothing worked for her. Everything changed when she figured out the key to resolving her seemingly unresolveable conditions. Now she lives out her SOUL PURPOSE: to help YOU clear everything in the way of being unstoppable!